Saturday, May 18, 2019 from 8:00 a.m. – 12:30 p.m.
Young children present phases of their development that can be challenging to adults. There are also issues that arise at times that do not seem to fit the typical characteristics of children. These can present frustrations to the child as well as those that work with him/her. Understanding the “whys” behind a child’s behavior can greatly influence the reactions and action of adults. This symposium will provide information on understanding the meaning of behaviors and ways to plan more effectively for intervention. 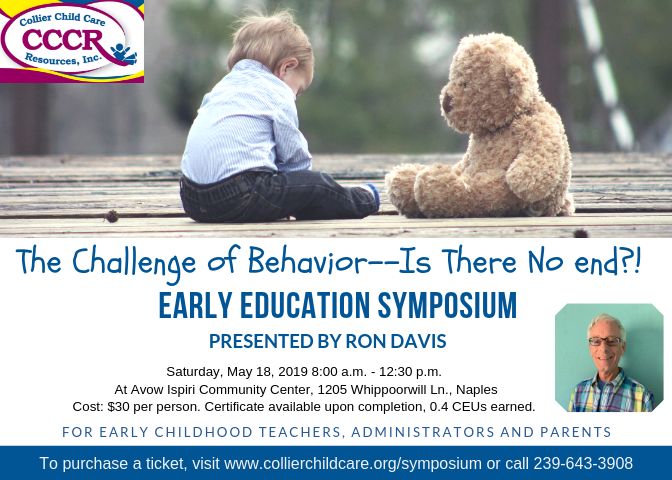 The recipe for effective discipline, dealing with challenging behavior, and techniques that promote teaching more appropriate behavior will all be presented in ways that are informative, humorous, and practical. Participants will see parts of themselves throughout the session as they reflect on their interactions with children. Ron Davis was a school psychologist in Ohio for 35 years, with the last 27 of them specializing in early childhood. In 1992, he was honored as the “Ohio School Psychologist of the Year”. Following retirement from Toledo Public Schools, he taught at the University of Toledo full-time for 10 years in special education and early childhood. In addition to teaching as an adjunct professor in several universities, over the years, he also maintained a part time private practice with a pediatrician’s office. 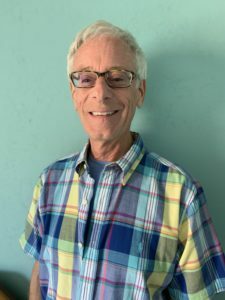 His passion has been in working with children and families who face challenges. Throughout the years, he has worked with outstanding educators who taught him the practical implementation of intervention. He has learned much from families over the years and feels, “Every parent does the best they can”.